Trans-Pacific Partnership negotiators from a dozen countries in North America, South America, and Asia announced agreement late last year on what would be the biggest trade pact ever. The TPP would supplant NAFTA and US accords with Chile, Peru, and Australia, and add Japan and Vietnam, among others. Most of those countries will quickly ratify it, eager to demonstrate a favorable climate for investors and deference to US economic power. At first, a confident Obama administration set out a timetable for signing the TPP in February and sending it to Congress for a vote in May 2016. Those goalposts might slip, though, as presidential candidates jockey for advantage. Already Hillary Clinton has said “maybe not” to the TPP, in spite of her support for it while Secretary of State. Bernie Sanders is a thundering “No.” Donald Trump has labeled the TPP “insanity,” and Ted Cruz announced he would vote against it. The anti–Republican establishment surge has even conventional pro-business candidates voicing doubts. In his State of the Union address, President Obama pitched the TPP as a counterweight to China’s influence in the region—an argument that falls flat, with the Chinese economy tanking. 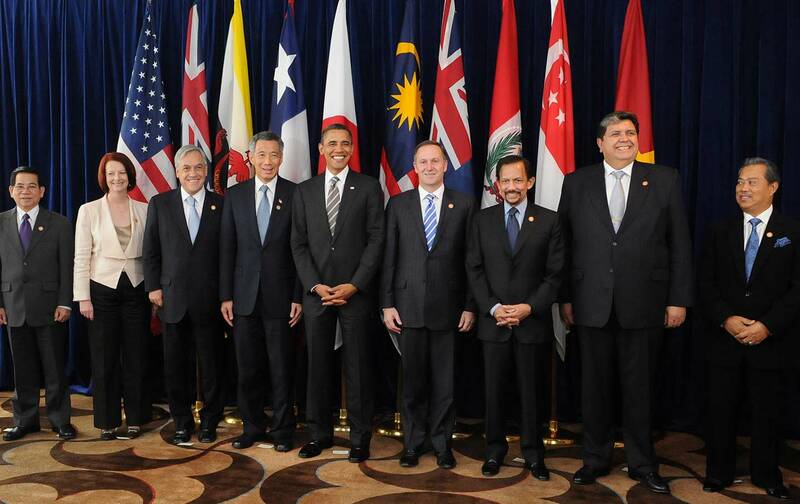 A key focus of TPP debate is the controversial investor-state dispute-settlement chapter. With the text now open for review, supporters and critics alike are parsing the ISDS language. Is it “the clause everyone should oppose,” as Senator Elizabeth Warren has argued? Or does it “promote development, rule of law, and good governance around the world,” as the US trade representative says? ISDS allows foreign corporations to sue governments for what firms see as unfair treatment. The alleged wrongdoing might be expropriation of a firm’s assets without compensation. It might be new regulations, such as stricter environmental or product-safety rules that differ from those in effect when the investment was made. TPP negotiators carved out a shield for rules on tobacco products without fear of tobacco companies’ challenge. But in countless other matters that might be ripe for regulation, the ISDS chapter leaves governments vulnerable to costly legal battles when foreign investors say they suffered losses because of government actions. On January 6, for example, the Canadian energy firm TransCanada invoked NAFTA’s investor-state clause in demanding $15 billion from the United States because President Obama halted the Keystone XL pipeline project. Instead of going to court, ISDS lets investors force sovereign governments into a private arbitration system. Arbitrators are chosen from an inbred cadre of international-trade lawyers and economists. They preside over an opaque process that skirts due-process requirements applied by courts, and can order governments to pay companies for investment losses. All the while, workers, unions, consumers, communities, and other stakeholders who might be protected by new government regulations are shut out of the process. This is what’s missing in the investor-state system: the ability of civil-society stakeholders affected by a corporation’s unfair treatment to seek redress. The TPP and other trade agreements don’t let victims hold investors accountable for wrongdoing. Instead, they must turn to their governments to take up claims of human rights, labor, and environmental violations. But their government can only target violations by another government, not corporate misconduct. What about a good-for-the-goose, good-for-the-gander alternative? Call it community-investor dispute resolution. Governments have shown little appetite for confronting one another under social chapters in trade agreements. They prefer seemingly endless rounds of dialogue, consultation, conferences, outreach, benchmarking, and other forms of talk therapy. That’s been the experience after more than 20 years of labor and environmental accords in 20 trade agreements the United States has signed. Out of dozens of complaints filed by unions and civil-society groups, only one—against labor-rights violations by Guatemala—has ever reached a stage of final resolution and potential sanctions. And it took more than seven years to reach that point; the case is still pending, even though it was first filed in 2008. Critics conclude that ISDS is fatally flawed, another ground among many for rejecting the trans-Pacific accord altogether. But what about a good-for-the-goose, good-for-the-gander alternative: open up investor-state-style mechanisms for workers, unions, consumers, and communities to sue companies for abusive behavior. Call it community-investor dispute resolution, or CIDS. A genuinely transparent and fair arbitration system has its merits. The rule of law is shaky in many US trading partners. Among TPP countries, Brunei is a sultanate, Malaysia is a shaky democracy, Vietnam is a one-party state, Peru struggles with authoritarian legacies of the Fujimori regime. Mexico is ranked number 79 in the World Justice Project’s Rule of Law index—below those others, below China, and below Burkina Faso. Truth be told, some state courts in the United States are not rule-of-law paragons, either. Judges are elected in many of them, and depend on campaign contributions from state-based businesses that might seek rulings against foreign competitors. In any country, a quick, efficient, and genuinely neutral arbitration system might be preferable to dragged-out litigation in a shaky court system. But the TPP sets the bar too low, tempting companies to take a shot at government regulatory moves. A national, state, or local measure should be susceptible to investor challenge only when it is demonstrably intended to discriminate against a particular company. A public-policy decision meant for general application regardless of the identity of the affected investor should be shielded from corporate attack. Under this standard, for example, TransCanada could not challenge the Keystone XL decision, because it was not based on animus against TransCanada. It would affect any firm—TransCanada, ABC Energy, or XYZ Energy. The TPP’s investor-state chapter does have new language opening up the arbitration process to public disclosure and public participation, including amicus briefs from civil society groups. But that’s not enough. Unions and NGOs still can’t be parties to arbitration with a shot at remedies when they are victimized. Consider instead creating an innovative alternative system to enforce trade agreements’ labor, environmental, and consumer-protection provisions. Let the same door open to investors wronged by governments swing open for workers and communities harmed by investors. Give civil-society forces the power to bring multinational corporations before a neutral arbitral panel to seek damages for violations of labor rights, environmental standards, consumer protections, and human rights that relevant chapters of the trade agreement purport to guarantee and protect. And to be credible, an arbitration panel in a CIDS proceeding should be drawn from experts in these social fields, not trade lawyers and economists. Letting workers and communities bring claims against investors under social chapters of trade agreements is even more important in light of recent US Supreme Court decisions blocking other avenues of redress. Most important, for the past 30 years, victims of labor and human-rights abuses could file civil lawsuits against multinational firms under the Alien Tort Claims Act. Now that remedial road is closing. The ATCA allowed federal courts to hear claims on behalf of foreign plaintiffs against defendants within the court’s jurisdiction for violations of international law—a unique forum for global human-rights advocacy. In 2005, victims of forced labor in Burma won a multimillion-dollar settlement from Unocal, a US energy company that partnered with the Burmese military dictatorship in a gas pipeline project. Other plaintiffs launched dozens of tort lawsuits under the same legal rubric. But an increasingly pro-corporate Supreme Court has gradually closed the door on such suits, most recently in its 2012 Kiobel v. Royal Dutch Petroleum ruling. Plaintiffs claimed that the company aided and abetted atrocities committed by Nigerian military and police forces against villagers living near its oil-producing facilities. The Court dismissed the case, saying that abuse in a foreign country could not be reached by US law. Allowing victimized workers and communities to use dispute-settlement mechanisms in trade agreements provides some measure of re-balance in the wake of Kiobel. Nothing prevents the United States from going back to its TPP partners to negotiate a supplemental protocol creating a CIDS system to address all stakeholders’ concerns, not just the special interests of investors. A presidential candidate can make that commitment right now, and make it a condition of going forward on the overall trade pact, just as Bill Clinton in 1992 said he wouldn’t proceed with NAFTA without supplemental agreements on labor and the environment. This doesn’t require a reopening of TPP negotiations. It means adding a feature that can make the TPP worth considering—or without it, a reason for Congress to vote No on TPP. Lance CompaLance Compa teaches international labor law at Cornell University's School of Industrial and Labor Relations in Ithaca, New York.